About Brian: I was raised in Virginia and grew up on the water. I hate the cold, but I love the snow. I have a BFA in Drawing and Design and spent another 4 years going back for pre-physical therapy. If you had asked me a year ago where I would see myself today, I would never have expected Michigan. 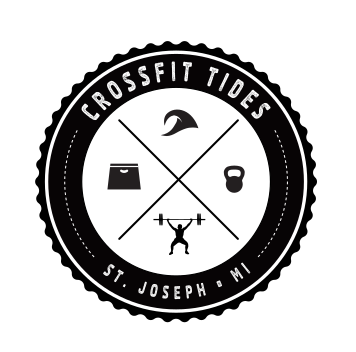 How you started at CrossFit Tides and what made you transition into coaching: I found out I was getting stationed here so I drove from Virginia overnight to scout out st Joe and after visiting my station, my second stop was finding the closest gym so I had been in touch with Emily about coming in and working out and becoming a member. My favorite part of being a coach is… My favorite part about being a coach is seeing people do things for the first time that they have never done before. Whether it be a handstand or climbing a rope, I love watching people get so excited. Go-to Healthy snack: Hardboiled eggs.